Would you like to make your own homemade body butter? Find out how quickly and easily you can make it at home naturally in this video! Here’s the complete DIY Body Butter Recipe. Do you still need your Young Living Essential Oils Premium Starter Kit? Go here to snag yours. *Two 2 oz. samples of NingXia Red, a powerful whole-body supplement drink that supports energy levels, normal cellular function, and whole-body and normal eye health. A daily shot of 2–4 ounces helps support overall wellness with powerful antioxidants. It’s great for kids too! *One AromaGlide™ Roller Fitment, let’s you turn your essential oil bottles into roller bottles which makes application a breeze! The Young Living Premium Starter Kit retails for around $300, but it’s marked down to just $160 + S&H and tax, plus I’ll give you some awesome FREEBIES! *$25 Amazon gift card or $25 Paypal cash (you pick) which makes the kit just $135! *I will also invite you to two helpful Facebook groups where you can ask any questions you have about essential oils and join in discussions about essential oils. Head over to the Young Living page here and fill out your information. Please use your laptop or desktop to sign-up, instead of your smartphone or tablet. Select which starter kit you want to get. 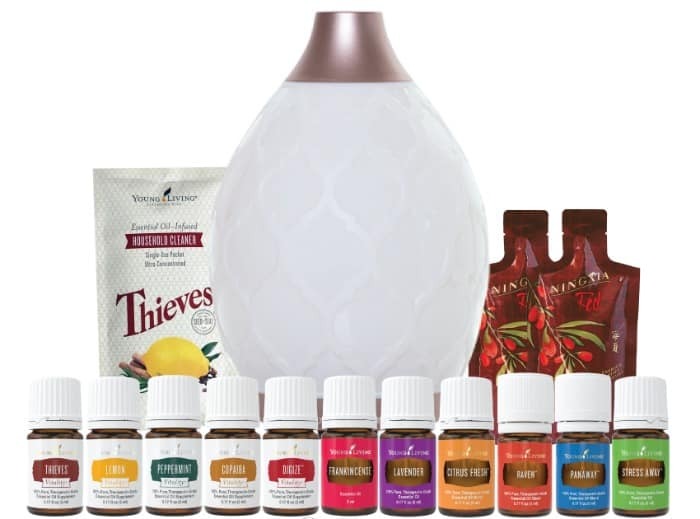 I’d recommend getting the Premium Starter Kit, so that you get all of the oils mentioned above, AND you get FOUR different options for the diffuser. 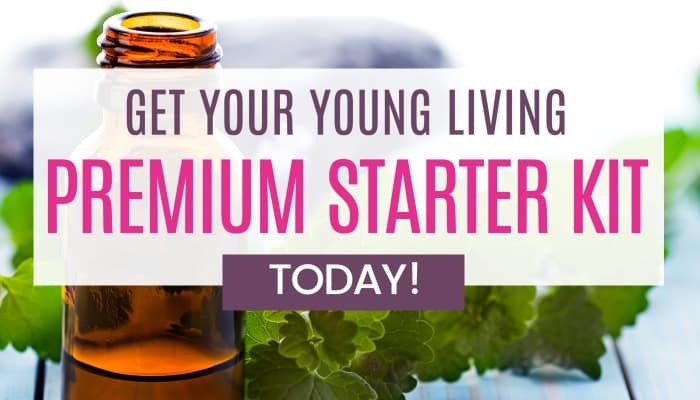 Learn more about the Young Living Premium Starter Kit here. I can’t wait to help you live a healthier, chemical free lifestyle and join my Young Living team! Join my Oily Friends Facebook Group here.